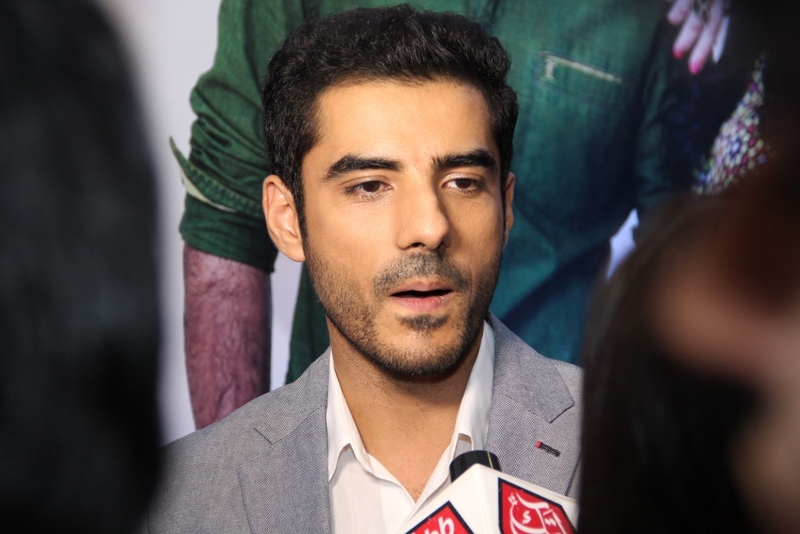 The much awaited theatrical trailer of #HoMannJahaan was released today at Cinepax Ocean Mall in Karachi. Releasing on the 1st January, 2016, Ho Mann Jahaan is a musical tale that portrays the enthralling journey of three friends pursuing their passion and dreams. The film is a collaborative venture between Asim Raza and Sheheryar Munawar with touching performances from Mahirah Khan, Adeel Hussain Sheheryar Munawar & Sonya Jehan as leads. “Ho Mann Jahaan is a musical film and will be a feather in the cap for ARY Films, as this is an unexplored genre for us. We are delighted to announce that it would be the first movie releasing under the ARY banner in 2016.” said Salman Iqbal, Founder & President, ARY Digital Network. The screenplay of the film is written by Rashna Abdi, Imtisal Abbasi and Asim Raza. Along with the lead casts the film includes acting by noteworthy names such as Sonia Jehan, Bushra Ansari, Arshad Mehmood, Nimra Bucha and Jamal Shah. Having recognized the strength and dominance of Pakistani musicians on a world platform, Ho Mann Jahaan prides itself for having a soundtrack of 9 songs, developed out of a pool of massive talent comprising of Zoheb Hassan, Atif Aslam, Zebunnisa Bangash, Jimmy Khan, Tina Sani, Abu Mohammed, Fareed Ayaz, Asrar and Mai Dhai Band, along with music producers Faakhir Mehmood and Ehtisham Mallick; an absolute recipe for an aural treat for music lovers. Ho Mann Jahaan trailer launch was attended by film industry heavyweights such as actors Humayun Saeed and Bilal Ashraf; Jawani Phir Nahin Aani Director Nadeem Baig; filmmaker Mazhar Zaidi; Yasir Hussain of Karachi Se Lahore fame; designers Umer Sayeed, Ismail Fareed & Feeha Jamshed to name a few. The film will hold interest for cinemagoers of all ages and will prove to be a family treat.